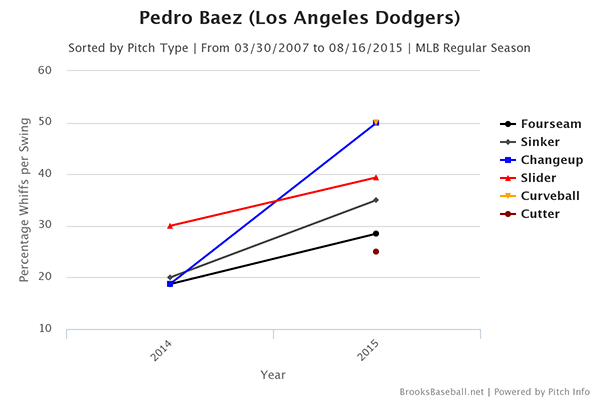 Towards the end of last season, I wrote a post on Pedro Baez after his late-season call-up. Baez had looked impressive in high-leverage situations, generating six shutdowns (+6% win probability added in a game) while having no meltdowns (-6% win probability added). J.P. Howell was starting to falter, so the Dodgers had gone from two reliable relievers to just one. However, the post on Baez was extremely negative about his numbers up until that point. He had allowed a .077 BABIP with runners on base and his FIP was two runs higher than his ERA. Trusting him was like trusting a time bomb (not that the Dodgers had any other choice), and sure enough he had a pretty miserable performance in the postseason. This year, the Dodgers are in a similar situation. They’re short on reliable relievers behind Kenley Jansen, who is pretty much as good as he has ever been. J.P. Howell is struggling at the end of the season once again. Yimi Garcia is starting to look pretty promising, but Luis Avilan and Jim Johnson have left a lot to be desired. The bullpen needs help. 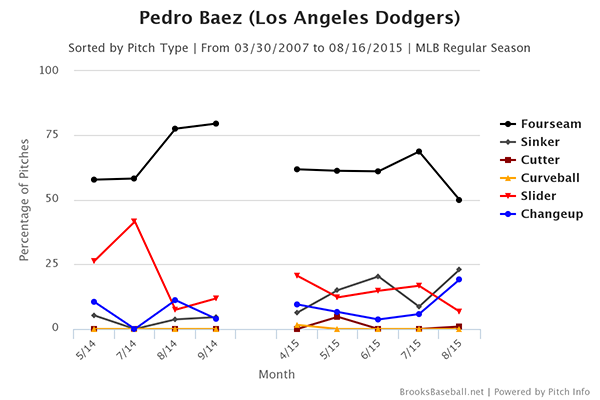 However, as you can see by the title, Pedro Baez is still in the bullpen and has been pretty impressive this year. By Fangraphs WAR, he’s the second-best pitcher in the bullpen. Among Dodger relievers with at least 20 innings pitched, he has the second-lowest FIP (2.46) and xFIP (3.06). He has the third-highest K%, the third-lowest BB%, and the third-best K%-BB%. Another statistic that is good for relievers is RE24. 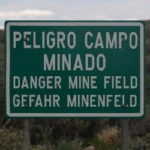 It’s a terrible name, but it tracks the run probability added or subtracted by events on the field independent of leverage. It’s a good way to track mid-inning relievers because it eliminates the weirdness of leaving or entering while an inning is in progress (which causes one of the biggest flaws in reliever ERA). For example, if a pitcher loads the bases before getting pulled, RE24 penalizes him for the expected runs going forward, and would reward the pitcher coming in to clean up the mess if he can get out of the jam. So far this year, Pedro Baez leads the Dodger bullpen in RE24, over a full run ahead of Kenley Jansen. The difference is dramatic. 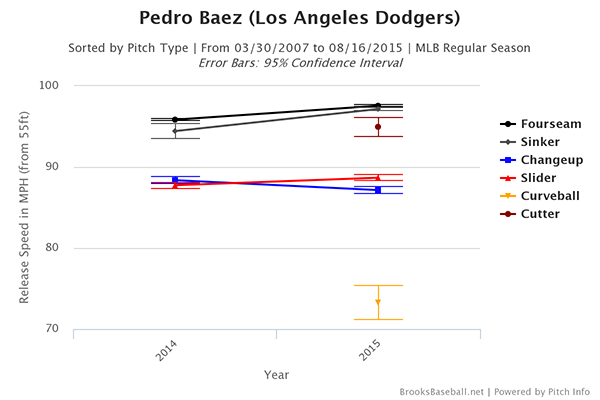 Baez has gone from a fringy reliever to a dominant one (at least on paper). Over the past month, Baez has been trusting his two-seam fastball and changeup more, reducing his fourseam usage to the lowest it has been in his brief major-league career. He should probably throw more sliders or changeups (similar to most of the Dodger bullpen), but the usage of his relatively straight four-seam fastball has gone in the right direction. The overall results are dramatic. Baez’ swinging strike rate has gone from 10% in 2014 to 15.4% in 2015. To put that into perspective, Kenley Jansen’s career swinging strike rate is 15.8%. That Baez has managed to increase his whiffs and strikeouts to such a degree without impacting his decent walk rate is impressive. Baez isn’t without his faults, of course. He doesn’t generate enough ground balls, an issue shared with most of the Dodger bullpen. Baez’ 33.0% ground ball rate is 149th among 169 major league relievers with at least 30 innings pitched. His 0.67 GB/FB ratio is 151st among the same group. The large number of fly balls will mean that he’ll be prone to the home run ball, but the strikeouts help even that out. He also works incredibly slowly, which isn’t really an issue other than being aesthetically annoying. Baez’ biggest flaw this year, strangely, has been his performance in high leverage situations. During last year’s regular season Baez had six shutdowns, zero meltdowns, and a clutch score (measures how much better he is in high leverage situations than low leverage situations) of +0.64 – positive is good. This season, Baez has ten shutdowns, but also has six meltdowns. Despite the dominating numbers for the full season and the high RE24, he only has a +0.19 win probability added, and currently holds a -0.44 clutch score. Those numbers are pretty bad, especially considering Baez’ excellent context-neutral numbers. However, the fact that Baez is pitching poorly in high leverage situations when he’s a good pitcher and pitched well in high leverage situations when he was a mediocre pitcher highlights how arbitrary stuff like this can be. It’s not something to read much into with this small of a sample. In reality, even if Baez is really a “choker” or something, the Dodgers don’t really have a choice but to hope he can do better in those situations going forward. His numbers so far this year means they have to depend on him getting outs late in games. Baez’ ability to turn around his high-leverage woes this year could be a key to the Dodgers’ playoff success. He certainly has the talent to be a tremendous asset down the stretch.